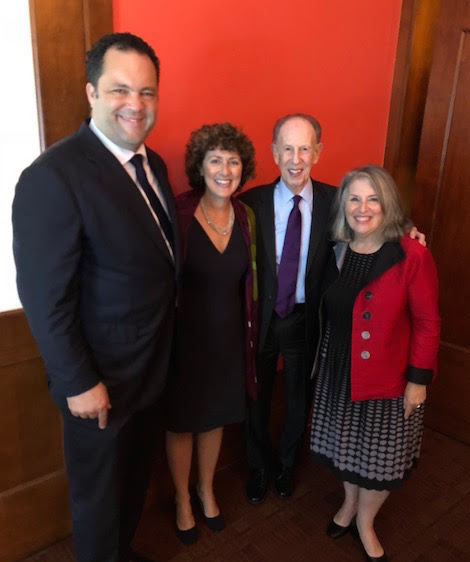 We've been actively supporting candidates who have the vision and thoughtfulness to take our community and this state in a direction that will have a meaningful, positive impact for all Marylanders - candidates who have plans to expand the access and affordability of health care, improve our public schools, protect our Chesapeake Bay, drinking water and air, and expand economic opportunities. 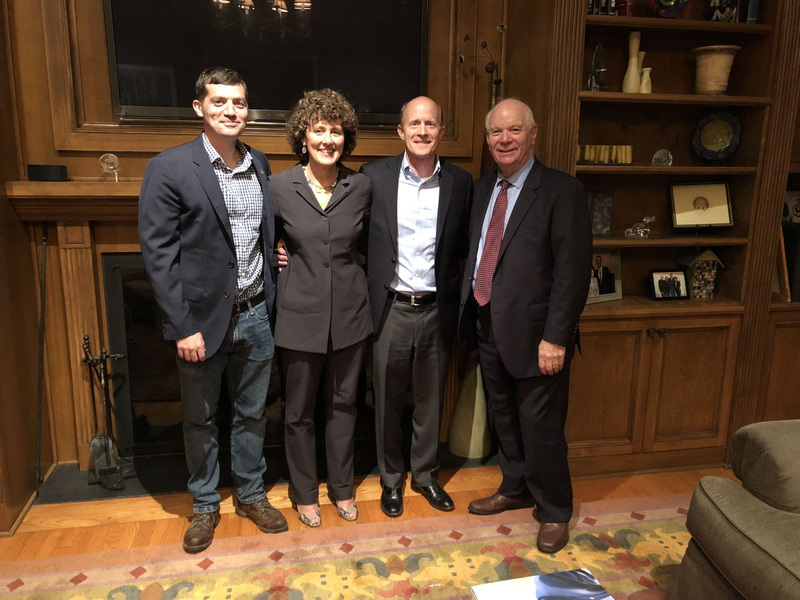 We've attended and hosted events for some of these candidates: Jesse Colvin who is running to oust Rep. Andy Harris in the 1st Congressional District, Ben Jealous and Susie Turnbull who are running to become the next Governor & Lt. Governor, and Johnny Olszewski who is running to become the next Baltimore County Executive. We hope you will consider joining us as we campaign for these good candidates -- and others we'll detail in the near future. 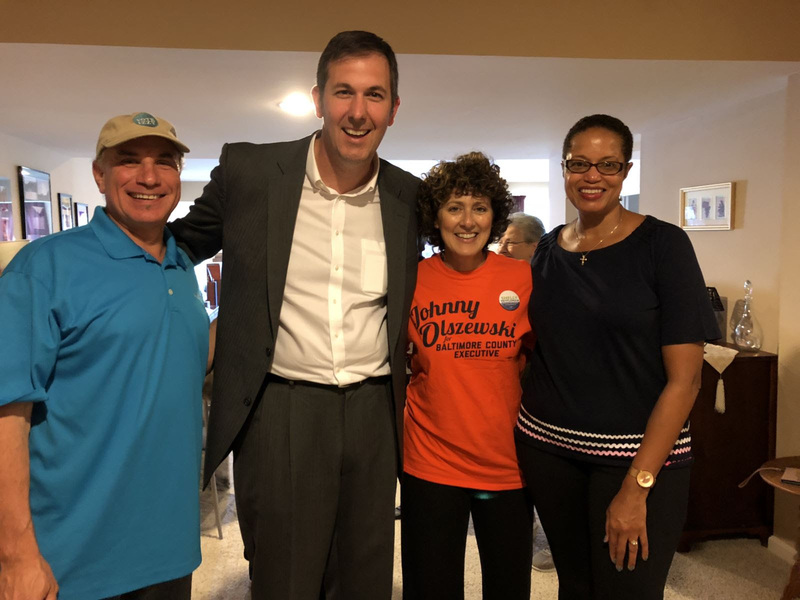 Saturday, October 13 -- Canvassing kick-off for Johnny Olszewski for County Executive. 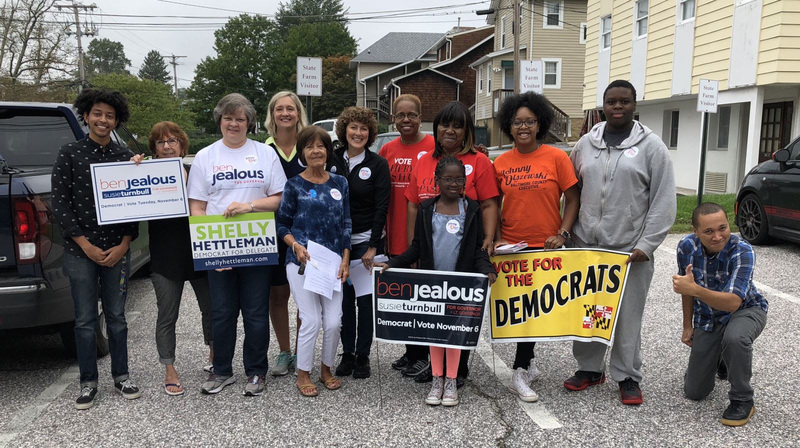 Join me and lots of other folks at 10:00 for a rally & canvass/phonebank at 8 Park Center Court, Owings Mills to help elect Johnny O.
Sunday, October 28 -- Canvass with me and Colleen Ebacher, a candidate for County Council, District 3 at 2:00 pm. Learn more about Colleen here. The Coordinated Campaign has daily canvasses and phone banks for all Democratic Candidates. Stop by the office in Towson, 301 Allegheny Avenue or sign up to volunteer here. Finally, we need your help during Early Vote - October 25-November 1 and on Election Day, November 6th. Please sign up on this form to lend us a few hours. Tuesday, October 9th -- if you're a retired state employee and have questions about switching your prescription drug plan to Medicare Part D (which you must do), please attend our District 11 Team briefing -- 2:30-4:30 at the Owings Mills JCC, 3506 Gywnnbrook Ave., Owings Mills, where a representative from the Senior Health Insurance Program will be on hand to provide information about how to make the change. Sunday, October 14 -- Chestnut Ridge Volunteer Fire Department Open House, 12020 Greenspring Avenue -- 11:00-3:00 games, food, & fun for the family. Tuesday, October 16 -- Last day to register to vote. Click here to learn more about registration and requesting an absentee ballot (deadline to request it to be mailed is Oct. 30th and Nov. 2 if you want to download it). Tuesday, October 30 -- Public Service Commission (PSC) public comment hearings for BGE gas distribution rates. According to the PSC, the average customer's rates will increase 7% or $5.67/month. 6:30, 6501 N. Charles Street, Towson, The Conference Center at Sheppard Pratt. As always, thank you for your encouragement & support. Now, more than ever, your involvement is needed. I hope to see you in the community soon!